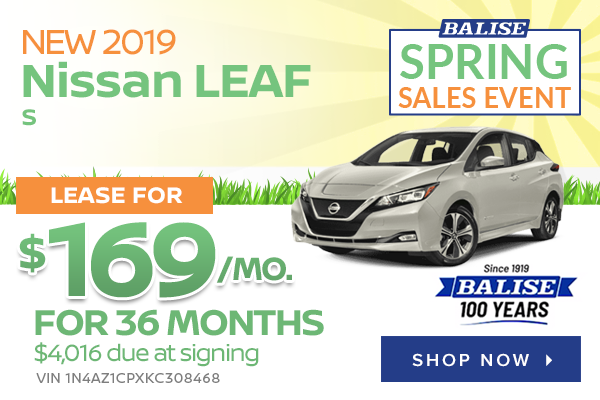 New 2019 Nissan LEAF S with automatic transmission (STOCK# ZN9219, VIN 1N4AZ1CPXKC308468) $169 per month lease for 36 months. $2699 cash/trade down + $169 first payment + $498 doc & title prep + $650 bank acq fee + $0 security deposit = $4016 total due at delivery. Sales tax, title and registration fees additional. 12,000 miles/year. Lease selling price $31,006. Lease end buy option = $11,831. MSRP $32,865. All incentives to dealer, cannot be combined with other offers. Available to well-qualified buyers with Top Tier credit, not all will qualify. Offer ends 4/30/2019. 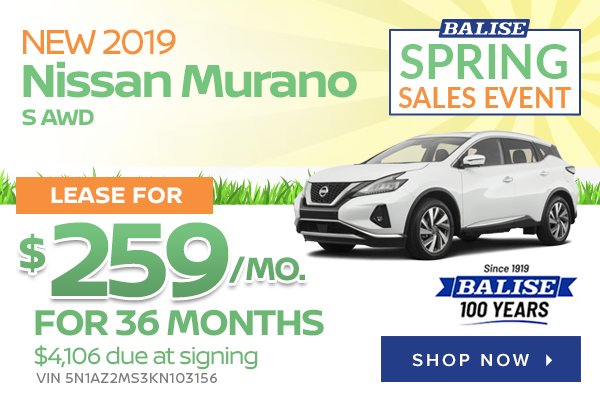 New 2019 Nissan Murano S AWD with automatic transmission (STOCK# ZN9099, VIN 5N1AZ2MS3KN103156) $259 per month lease for 36 months. $2699 cash/trade down + $259 first payment + $498 doc & title prep + $650 bank acq fee + $0 security deposit = $4106 total due at delivery. Sales tax, title and registration fees additional. 12,000 miles/year. Lease selling price $32,381. Lease end buy option = $19,662. MSRP $34,495. All incentives to dealer, cannot be combined with other offers. Available to well-qualified buyers with Top Tier credit, not all will qualify. Offer ends 4/30/2019. 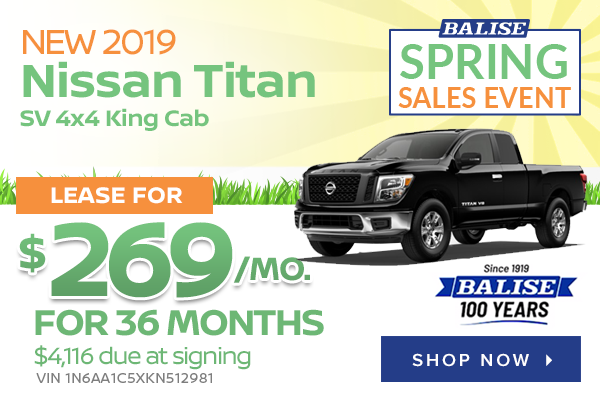 New 2019 Nissan Titan SV 4x4 King Cab with 5.6L V8 engine (STOCK# ZN9085, VIN 1N6AA1C5XKN512981) $269 per month lease for 36 months. $2699 cash/trade down + $269 first payment + $498 doc & title prep + $650 bank acq fee + $0 security deposit = $4116 total due at delivery. Sales tax, title and registration fees additional. 12,000 miles/year. Lease selling price $41,396. Lease end buy option = $25,974. MSRP $44,025. All incentives to dealer, cannot be combined with other offers. Available to well-qualified buyers with Top Tier credit, not all will qualify. Offer ends 4/30/2019. 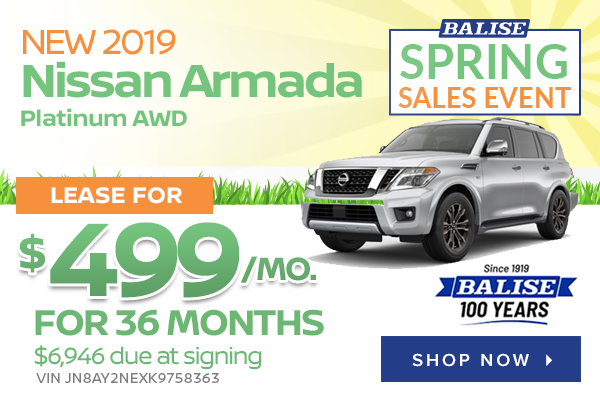 New 2019 Nissan Armada Platinum AWD with automatic transmission (STOCK# ZN9181, VIN JN8AY2NEXK9758363) $499 per month lease for 36 months. $5299 cash/trade down + $499 first payment + $498 doc & title prep + $650 bank acq fee + $0 security deposit = $6946 total due at delivery. Sales tax, title and registration fees additional. 12,000 miles/year. Lease selling price $60,709. Lease end buy option = $36,674. MSRP $65,490. All incentives to dealer, cannot be combined with other offers. Available to well-qualified buyers with Top Tier credit, not all will qualify. Offer ends 4/30/2019. Have you been on the lookout for a new Nissan car or SUV lately? Got your eye on the new Murano or Altima? Look no further. 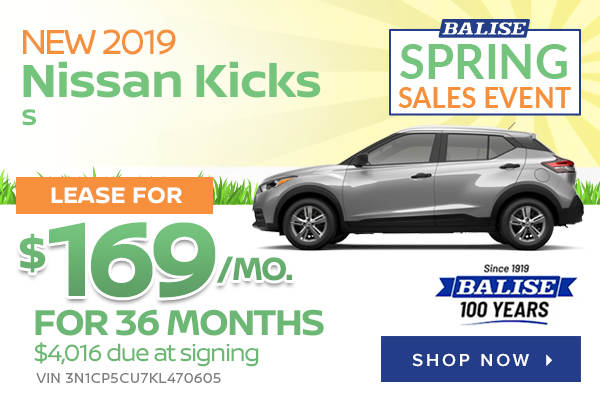 Balise Nissan of Cape Cod is a great source for your new Nissan finance and Nissan lease options in Hyannis, MA. 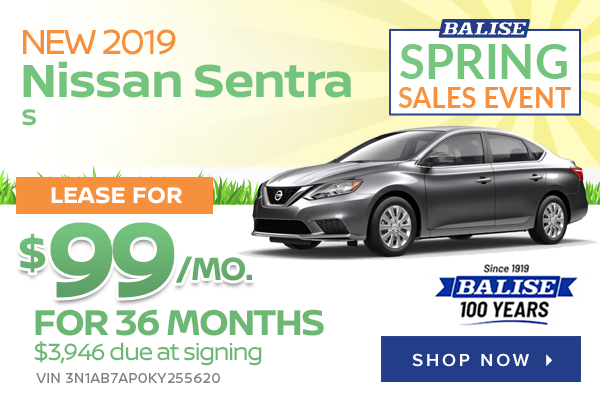 When you come see one of our qualified Nissan specialists on our new car lot on Cape Cod, ask us about our lease offers and how we can get you into the car of your dreams today. 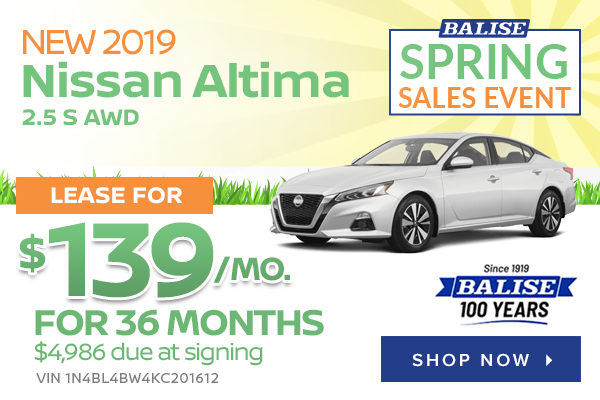 At Balise Nissan, our low prices and leases for MA drivers make us a destination for new vehicles. We’d be happy to show you your options and help you finance the purchase of a new vehicle. If you have any questions, we encourage you to contact us or visit us at 322 Falmouth Road in Hyannis! When it comes to purchasing a new Nissan vehicle, we understand that it’s a big commitment. 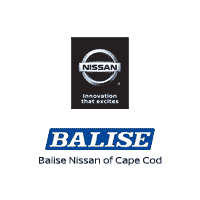 At Balise Nissan of Cape Cod, we want to make this process as seamless as possible. That’s why we make sure our customers take advantage of our great deals on new Nissan cars and SUVs. 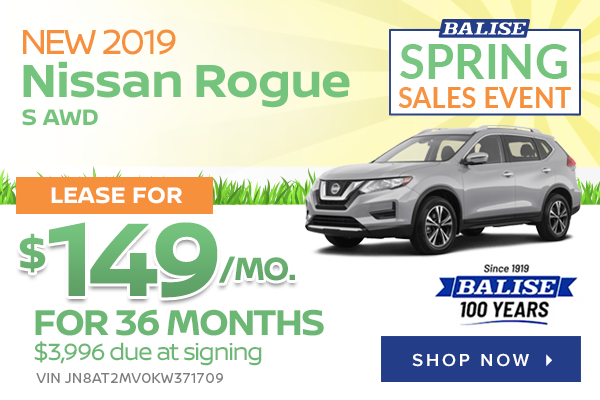 Whether you’re in the market for a new Murano, Altima, Rogue or Sentra, Balise Nissan has new vehicle specials on the Nissan models you love and some great loan and lease specials. It’s just one of the many ways we pride ourselves on taking care of our customers!